July 1, 2015 by Ecommerce News. About Logistics with tags The United Kingdom. 4524 views. Amazon has launched its one-hour delivery service, called Amazon Prime Now, in London yesterday. This is six months after it introduced the delivery service, which is offered exclusively for its Amazon Prime members, in the United States. 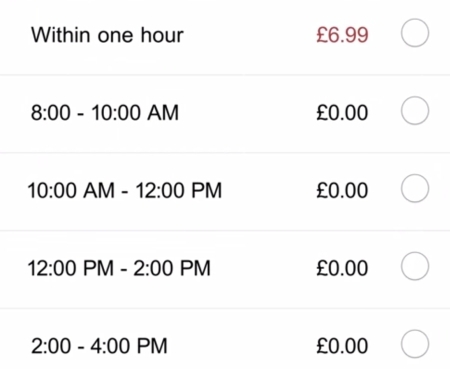 Yesterday, a new website went live, that says: “We now offer one-hour delivery or same-day, two-hour delivery windows on thousands of items in select areas of London.” Deliveries will be offered between 8am to midnight, seven days a week. For now, Amazon Prime Now isn’t available in all of London, so residents should check if their postal code makes part of the delivery area. If customers want their order (£20 and above) to be delivered within the hour, it will cost them £6.99 (€9.86), with two-hour same day window deliveries to be free. Customers who want to use the service, need to download the Amazon Prime Now app, log in using their existing Amazon account and then add products to their shopping basket.